Popcorn,potato chips,nuts,pet food and so on. 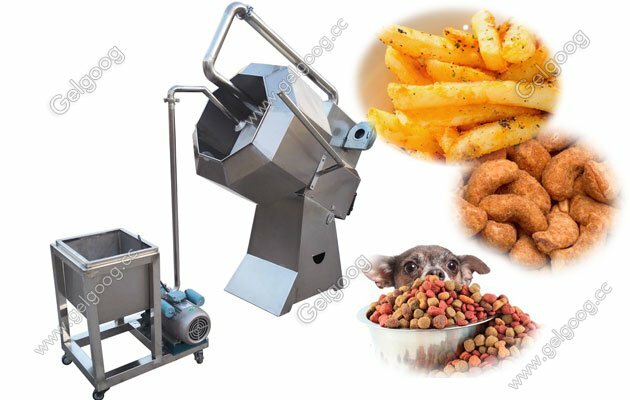 Snack Seasoning Machine For Popcorn|Potato Chips|Pet food The food seasoning machine is mainly used to season fried snack, puffed snacks, fried nuts, pet food , fish feed and so on. The food seasoning machine is very popular in food processing industry. It's mainly used in flavoring and mixing all kinds of food, such as chips, french fries, fruit brittle, fried food, puffed food, snack food, leisure food, fruit chips, potato chips etc.It can mix the flavor with the food uniformly, to make the food delicious and good taste. 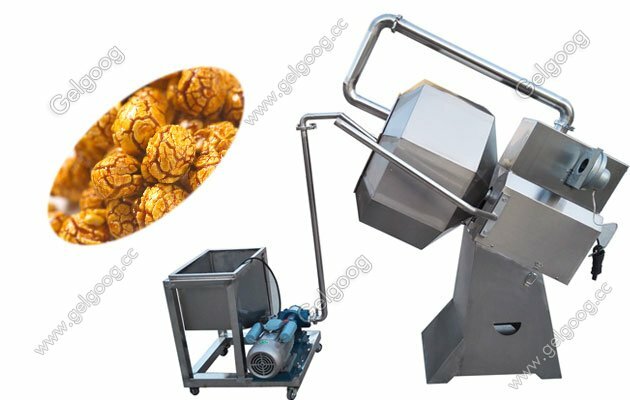 We have two different snack food flavor machines: the octagonal type food seasoning machine and the roller(drum) type food seasoning machine. The machine is made of high quality stainless steel . 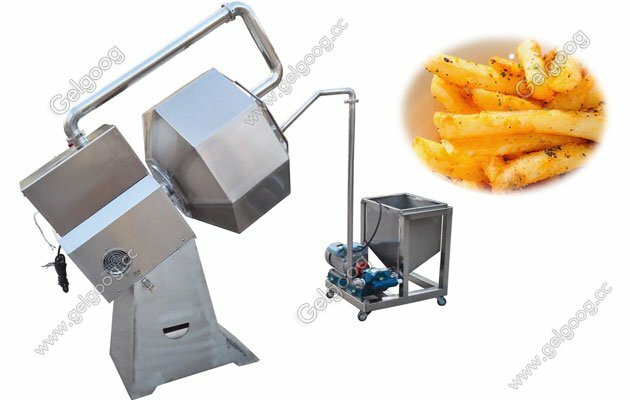 It is widely used in the whole production line of fried food , such as potato chips, onion chips, etc. Electric control, speed adjustable, clockwise and counter-clockwise rotary. High efficiency and low noise. The external casing is made of heat isolator which could keep heat inside.